Hotel was quiet at night.breakfast was good .staff very friendly. Staff very pleasant and helpful. Great powerful hot shower in the bathroom. Beds very comfy. Great pint of San Miguel on AI. Love these apartments this is our second trip & it didn’t disappoint- free drink on arrival for my mums birthday & the staff are fab. Room was spacious and view from balcony was ok. Quiet at night. Staff left you alone. The bedroom, and the view were nice. The Kitchen and the living room were good. There were washing-up liquid. Close to the beach and shops. I love the location as its only a five minute walk down town so you have the nearness but also are away from the noise. Good selection for the breakfast but maybe add some yogurts and more of a variety of fresh fruit for people who don't eat fried breakfast. 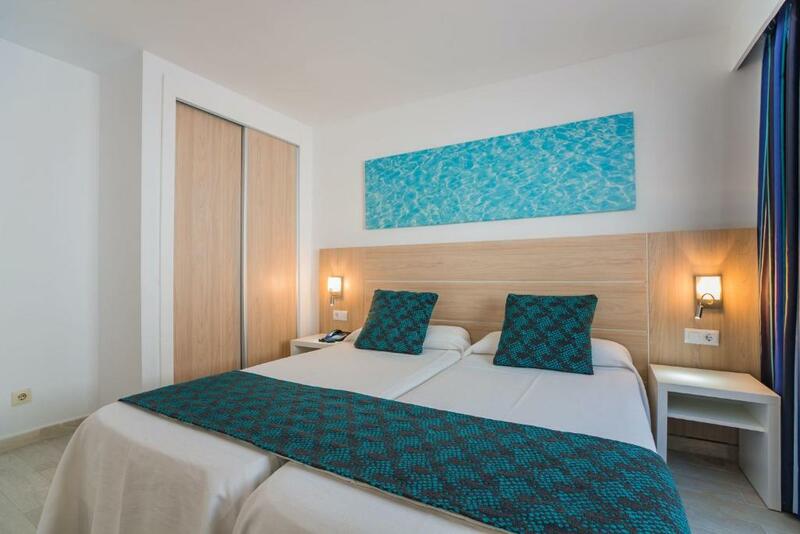 Lock in a great price for Aparthotel Holiday Center – rated 8.4 by recent guests! Aparthotel Holiday Center This rating is a reflection of how the property compares to the industry standard when it comes to price, facilities and services available. It's based on a self-evaluation by the property. Use this rating to help choose your stay! 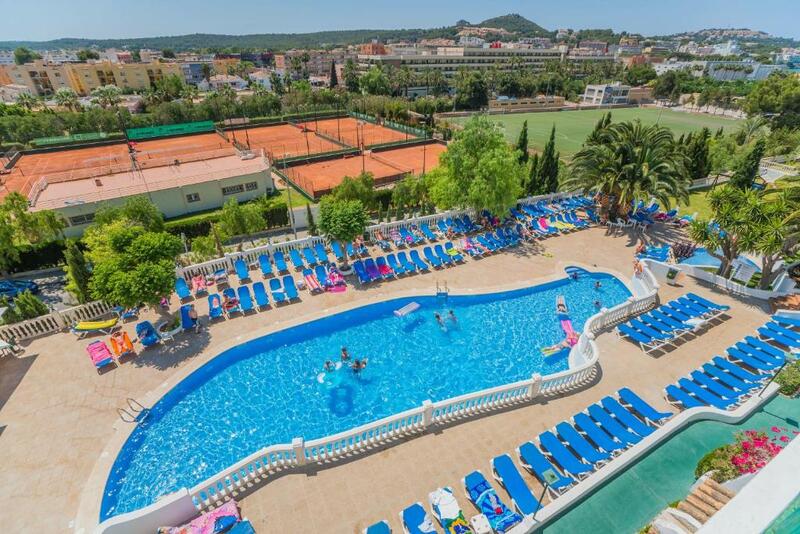 Situated in a tranquil area, 3 minutes' walk from Santa Ponsa Beach, on the south west coast of Majorca, this well-equipped apartment complex boasts an outdoor swimming pool and a volleyball court. 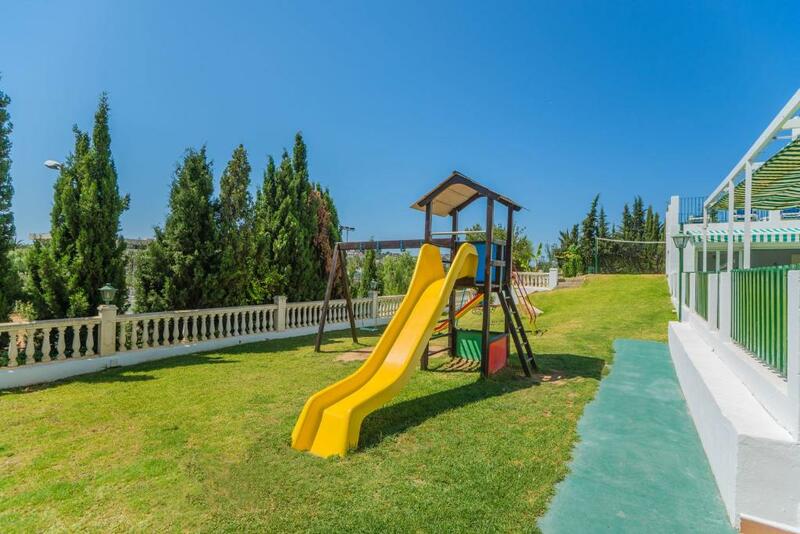 Each of the small Mediterranean-style apartment blocks at Aparthotel Holiday Center is arranged around a central garden area with a pool, where children can play and you can enjoy sunbathing. WiFi is available for an extra cost. 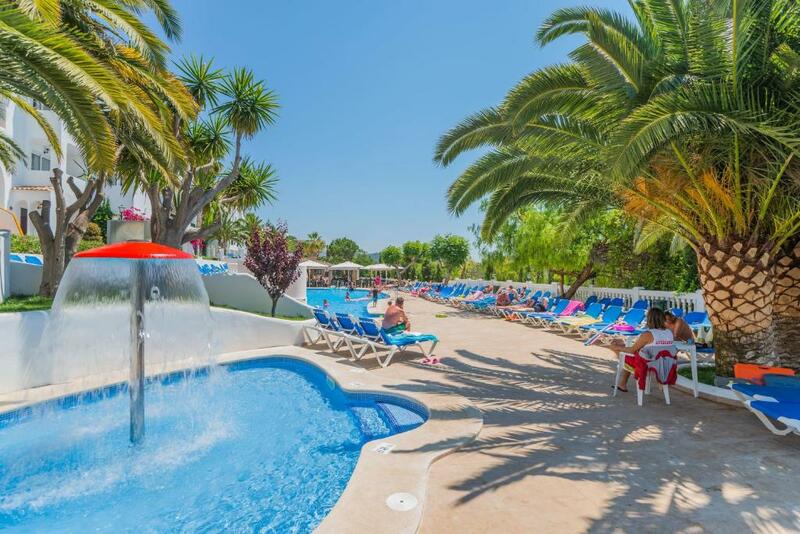 Aparthotel Holiday Center offers a poolside snack bar and a buffet restaurant, open for breakfast, lunch and dinner. Everything from self-catering to all-inclusive is offered at the complex. Guests also have free access to a fitness centre located nearby. 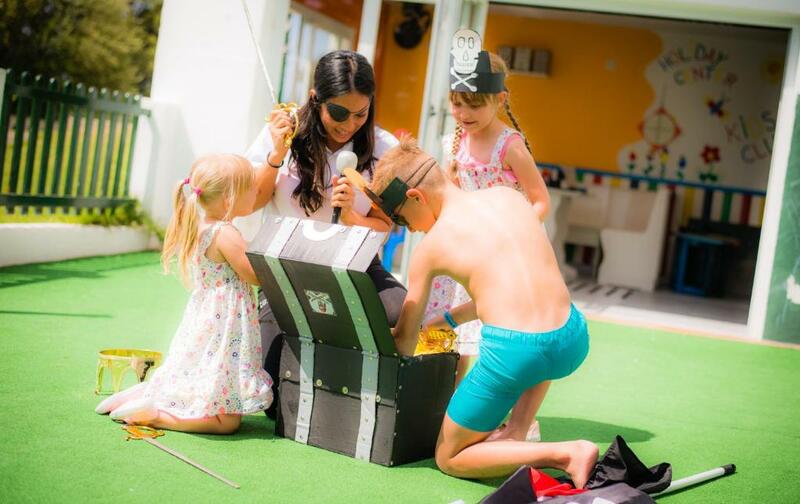 Santa Ponsa Golf Club is less than 10 minutes by car and Santa Ponsa centre is 1,300 feet away. Palma City Centre is just 20 minutes´ drive. Palma Airport is 18.6 miles away. When would you like to stay at Aparthotel Holiday Center? This air-conditioned apartment features a living room with a sofa and a flat-screen satellite TV. The open plan kitchenette includes a microwave, fridge and toaster. Apartments have a balcony or terrace. This air-conditioned apartment features a living room with a sofa bed and a flat-screen satellite TV. The kitchenette includes a microwave, fridge and toaster. Apartments have a balcony or terrace. Es un establecimiento de estilo mediterráneo, con unas vistas sobre Santa Ponsa y MUCHO SOL. Ideal para familias. Diseñé y construí el complejo Holiday Center, ( soy arquitecto ), en el año 1986, intentando tomar la esencia de la construcción de los poblados de pescadores del Mediterraneo. 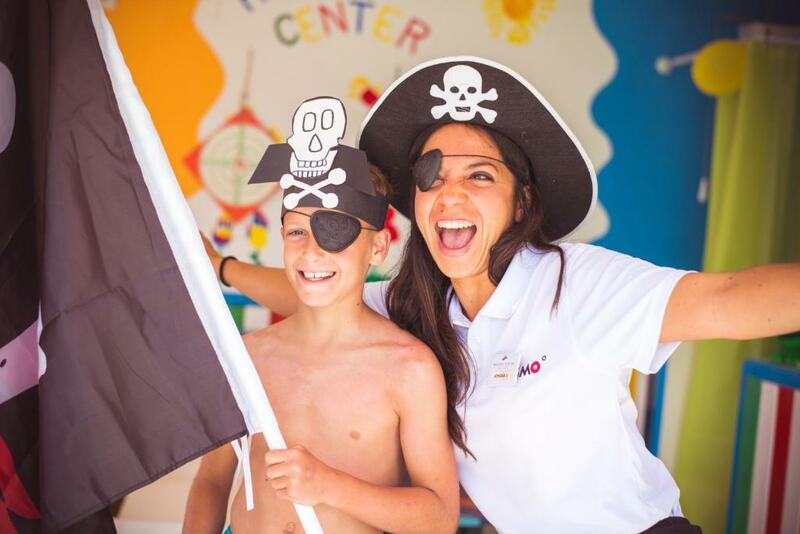 A lo largo de todos estos años, he gestionado el Holiday Center, prácticamente con el mismo equipo con el que lo iniciamos, con lo que ya constituimos una gran familia. Igualmente, en el transcurso del tiempo, hemos ido actualizando y renovando todo, de tal modo que parece nuevo. Daniel Aldeguer. La zona en que se halla el Aparthotel Holiday Center, es muy tranquila y sin embargo, está muy cerca del centro del pueblo, donde están todos los bares, restaurantes, tiendas, bancos, etc. Igualmente está muy cerca de la magnífica playa de Santa Ponsa, con todo tipo de actividades y deportes acuáticos. Muy cerca, están unas magníficas pistas de tenis y padlle, así como dos campos de golf de 18 hoyos. House Rules Aparthotel Holiday Center takes special requests – add in the next step! Aparthotel Holiday Center accepts these cards and reserves the right to temporarily hold an amount prior to arrival. Clean enough but could have been better. Towels were very old and thin. Breakfast was very samey. Bar not open. It is not apparent when booking that the hotel is on a slope and upper apartments accessible by outside concrete stairs, so may be difficult if lower rooms not available . On the bed the matrresses aren't fixed, it is always moving. The toilett has not enough space, the door opens into it. The water of the pool was cold. The playground is not good condition. What I didn't like was how people who are "all inclusive" are treated. While sitting at the pool bar for food and drinks we noticed that the guests who were paying for their food were getting their food served on real plates by waiters and had full table service, while the guests who are all inclusive have to go collect their food from the chef at the counter and its served on plastic plates. Drinks were also served to paying customers in the bar in real glasses while all inclusive guests had their's served in plastic glasses. I had to keep asking the bar man to serve my wine in a real wine glass and not a plastic glass while drinking in the bar. As far as I am concerned, the plastic plates and glasses are for people on sun loungers down around the pool as you are not allowed to bring glass around there for safety reasons, but we as all inclusive guests felt like second class citizens. Not good enough. We were still paying customers, who have paid twice as much to go all inclusive. So maybe review your service for all classes of guests! The bar staff could also be a little more mannerly. Found one or two of them rude. 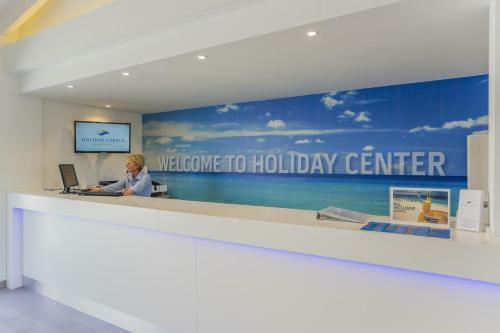 The reception staff were lovely. Unfortunately bedclothes was very thin and 50% cotton snd 50% syntetic . In all places we han vacation we didnt see such bad bedclothes. So my children became wet while sleeping. :((( Cleaning: leaves much to be desired. They had to clean every second day, but often no cleaning was done. So i often had to remind about it. Perconell: Mostly very friendly and positive. Marga, dark hair lady in reception (dont remember the name, but my daughter liked her so much!) you are the best! Jack, Julio, Alberto, Lenin, Beko thank you for your good mood and kindness. My wife came to the conclusion that Alberto maked the best coctails in all Majorca! Beko, your pancakes and meat were the most tasty! It was a really smart, clean and tidy set of apartments, I personally slept on the sofa bed and not the beds so cannot comment but I think in the future as I will be returning I will book a larger apartment to ensure I have bed/bedroom. Cannot complain about anything during our stay, all was lovely, professional and friendly. No air condition in bedroom ( only in the living room area ) , no elevators for the upper floors , WiFi and safe box are not for free .